Call us today on 0800 978 8586 and request a free site survey, we operate 7days a week. We offer four types of health check these being: over all solution, Monitoring, access and security. Our free health checks are non invasive, alternatively we offer engineer level tests including thermal surveys, monitoring audits and in life product audits. Critical Data Monitoring and Insight. We are highly experienced, manufacturer-independent and accredited by professional bodies and the manufacturers whose critical power equipment we sell – single monitoring solutions to Datacentres. We operate all of the certifications you need to ensure you get the best Critical Monitoring to meet your needs while complying with regulatory, health & safety and legal obligations. At Monitorix we ease the headache and drain on internal human resource of having to deal with more than one supplier, local authorities, landlords, public services (such as fire and safety) and utility companies. We do it all for you through our first-class, customised project management. We’re practiced at getting things right first time. Application Focused, Customer Driven, Service Orientated – Nationwide. We operate nationwide (including Northern Ireland), carry a vast stock of monitoring solutions and ancillary products, which enables us to meet tight deadlines of project implementation and delivery, and offer first-rate preventative and on-going maintenance that is fast, efficient and cost-effective. We offer a wide range of power protection, energy management and cooling system products and services. Accreditation includes engineering staff accredited and certified to work in restricted environments such as: chemical, industrial and trackside (OHSAS 18001, SAFEcontractor and Personal Trackside Safety (PTS) certification), ISO 9001 and ISO 14001. We design and deliver monitoring and alerting solutions on Nagios platform which provides organizations with ongoing control and historical insight of their power supply and critical environmental factors. Short Video showing how easy ServersCheck products are to use. Monitoring and control of server and IT equipment rooms -remotely Maintaining permanently functioning. hardware is any IT administrator’s nightmare. 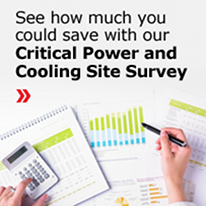 All server and IT equipment needs cooling and close temperature monitoring! Keeping control of your server and IT equipment rooms these days is critical to any business. As they are rarely manned or are tucked away, notification would be great for any impending heat, humidity or illegal access problem. Software difficulties show themselves easily enough via the service the users are experiencing. Hardware problems are generally created through excess heat over a period of time and are not easily seen except for final hardware failure.